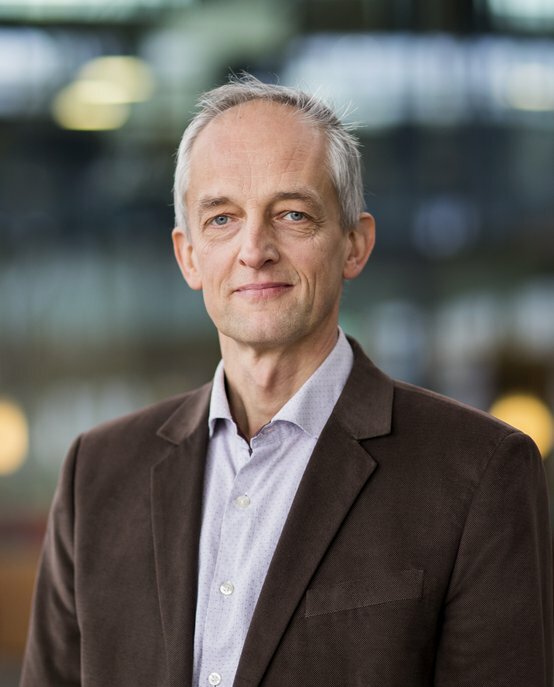 Marc Geers is a Full Professor in the Mechanical Engineering department at Eindhoven University of Technology (TU/e), and group leader of the Mechanics of Materials section. His research topics focus on solid mechanics, damage mechanics, micromechanics, multi-scale mechanics, computational mechanics with applications on advanced high-strength materials, metamaterials, materials for energy, health. He is also chairing the group’s multi-scale lab, which allows for quantitative in situ microscopic measurements during deformation and mechanical characterisation of a broad class of materials, structures, MEMS etc. on a wide range of length scales from nanometres to centimetres His research work serves the development of advanced engineering materials, additive manufacturing systems, MEMS & microsystems, materials for fusion, innovative metamaterials, etc. Most activities are carried out in support of key Dutch and European industrial partners. Research grants to support the work have been obtained in a structural manner from ERC (Advanced Grant), NWO (former STW, FOM), EU, M2i (Materials Innovation institute) and industry. At present, research focuses on the science of additive manufacturing, novel models for complex interfaces, novel methods to unravel and design mechanical metamaterials, novel methods to bridge scales combined with reduced-order approaches, and multi-physics problems. His educational activities span all levels from BSc (e.g. solid mechanics), to MSc (e.g. continuum mechanics & nonlinear problems), to PhD (EM multi-scale and micromechanics; CISM courses). He supervised more than 40 PhD students, among which 11 are now faculty members in 10 different countries, whereas most other former PhD students started a successful career in industry. Marc Geers obtained his university Engineering Degree (MSc) at the RMA (Brussels, Belgium) in 1987. He started an academic career in the department of civil and materials engineering of the RMA, which he combined with a PhD at TU/e (1997). In 2000, he was appointed full professor in the Department of Mechanical Engineering at TU/e. He was a visiting scientist at EPFL in 2003 and at the Ecole des Mines de Paris in 2011. Marc has published over 250 papers in international journals, with a significant citation impact (Web-of-Science h-index=43 in 2017). In the past 10 years, he presented more than 15 plenary lectures at international conferences (e.g. ESMC, ECCOMAS, CFRAC, ECCM, GAMMå…) and over 50 keynote and invited lectures. At present, he is Associate Editor of the European Journal of Mechanics A/Solids and serves on the Editorial Boards of more than 15 international journals. He is also serving the national and international community in other roles, e.g. as the scientific director of the Dutch Engineering Mechanics graduate school (2008-2017), as the chairman of the European Mechanics of Materials Conference committee (2007-2017), as a member of more than 50 scientific conference committees (past 10 years) and scientific evaluation panels (e.g. NWO, ERC). Since 2016, he is a member of the EUROMECH council. In addition, Marc is a member of the board of the Netherlands Mechanics Committee, Cluster coordinator of the cluster Multiscale fundamentals of materials and Program Committee member of M2i. He served on the Board of Governors of the Foundation for Fundamental Research on Matter (NWO-FOM) in the period 2009-2017.